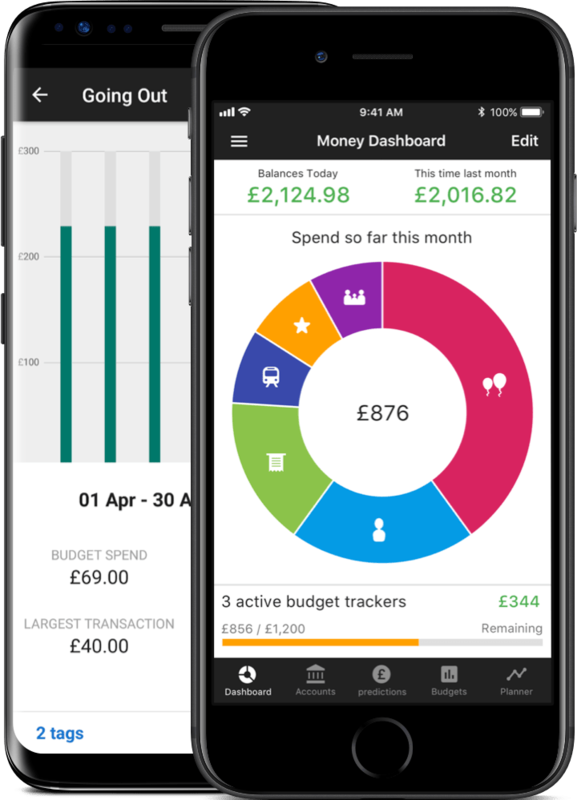 Our free multi-award winning money app & budget planner helps 150,000+ people save money, plan and achieve their goals. Available on Web, Android & iOS. Forget logging into multiple websites or apps to manage your finances. This is the best way to keep on top of your money! You'll have all the information you need to make informed financial decisions with a clear view of how, when and where you're spending your money. We categorise everything automatically and display it back to you to give you the answers with zero effort. We make budgeting a joy by doing the hard work and letting you focus on the important things in life. Use your previous spending patterns to create flexible budgets that you can actually stick to. Take a look into your future and set yourself up for success by seeing your predicted income, expenditure and balances laid out in front of you. We give you the bigger picture of your financial life by showing you all of your accounts in one place. No more logging into multiple apps or complicated sums in your head - just your balances, together. Not ready to sign up yet but still want great money tips and news personalised just for you? No problem! Great job! Keep a look out in your inbox!